Connecting farmer organizations to their target markets is one of the aims of the project Reducing Rural Poverty through Agroentrepreneurship. In answer to this, last March 2, 2017 thirty six (36) coffee farmers, coming from four farmer associations from Maasim, Sarangani Province, and Kalamansig and Lebak, Sultan Kudarat , participated in an exposure visit at Nestle’s buying station at Tagum City. The objective of the visit was to let the farmers, 90% of which has never been to the buying station, experience and see how coffee buying is implemented. Throughout the previous two years of the project, and in the other past programs of Pasali Philippines, collective marketing to Nestle Tagum has been one of the target major activities. Given this, only a handful gets to see for themselves the actual process during collective marketing. Most are left asking how transactions are made within the buying station. Some hearsay would even float that the station is too strict on its quality control and the possibility of green coffee beans being rejected is bigger than being accepted. 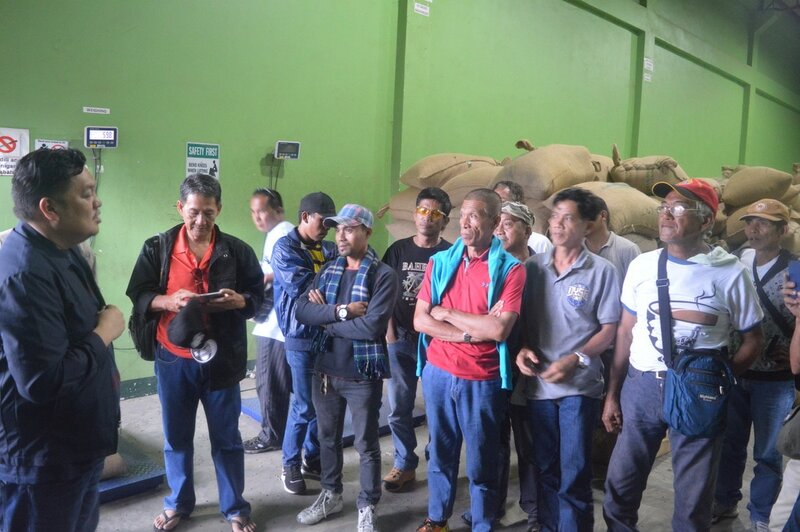 Also, farmers think that delivering to Nestle requires huge volumes and that they will never be prioritized especially since arriving at the station, they see all the traders lining up with their truckloads of coffee beans. Farmers, in some way, have hesitations in venturing out and linking with an established institution like Nestle. With this in mind Pasali arranged an exposure to the said buying station. Fortunately Nestle responded. They were supposed to be closed during the scheduled date but since Nestle itself is trying to reach farmers, especially farmer associations, the buying station was opened during the visit. ​The activity was facilitated by the buying officer, Mr. Benedict Ella. 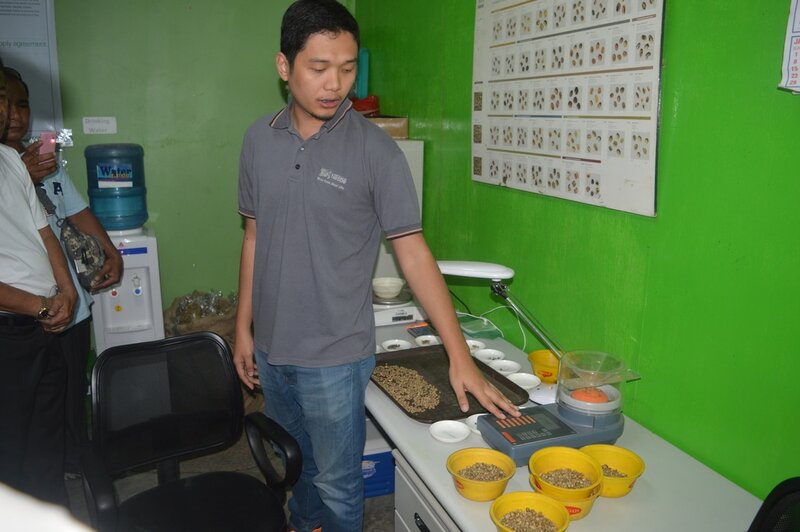 He demonstrated the processes that the delivered green coffee beans undergo to determine its grade. He encouraged the farmers to collectively market and to never hesitate to approach him. It was stressed during the visit that farmers are going to be prioritized nevertheless of the volume or coffee grade of their delivery. Quality product must always be the aim of every farmer but if ever the volume delivered does not pass the established quality test there is always a way to fix it and the delivery given another chance. With this the farmer participants were introduced to Nestle’s buying culture. The learning they have gathered during that day was encouraged to be spread to all other members of their association. Last February 5, 2017 ​Keytodac Coffee Growers Association (KCGA), a barangay level farmer organization under Lebak Coffee Growers Association (LCGA) was able to deliver 20 tons of green coffee beans to Nestle's buying center in Tagum City as a collective marketing activity. 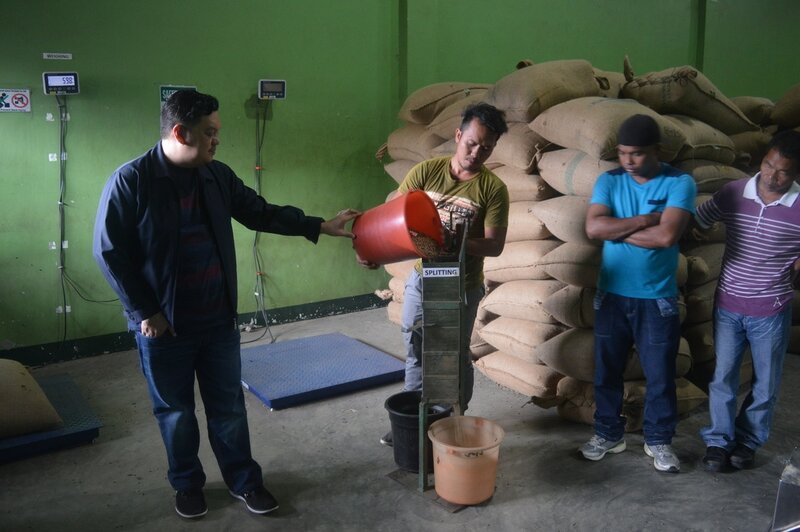 Although it was their first time, the product delivered was determined at Grade 1, the highest grade in terms of green coffee beans, selling at a price of 119.00 per kilo. 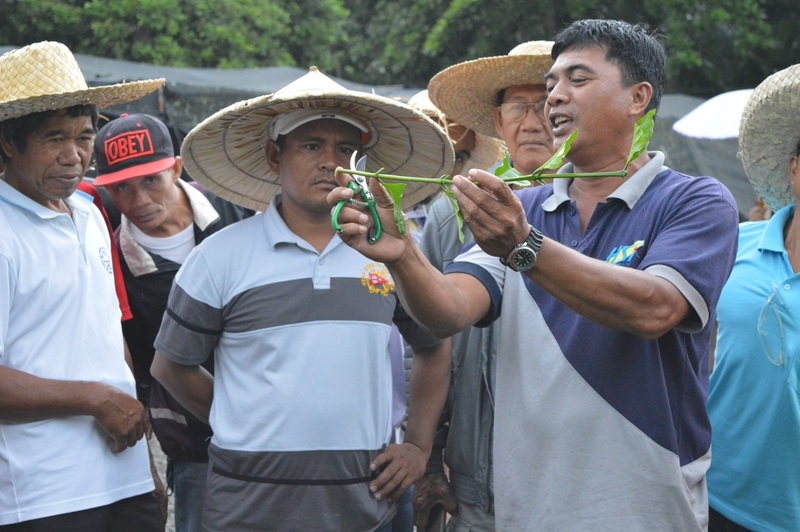 Thirty (30) farmers were able to participate in the said activity. ​Lebak is a municipality situated in the province of Sultan Kudarat. Together with its neighbor Kalamansig, they are known as the largest producing coffee (robusta) municipalities in Mindanao. Lebak has thirteen (13) coffee producing barangays, each with its own setting and story. One of which is Keytodac where KCGA is located. As with the other 12 barangays, Keytodac has its own share of local traders dominating the coffee scene. With all these in mind the collective marketing last February 5, 2017 was a success. Facilitated by personnel from Pasali Philippines Foundation and officials from KCGA the improbability of delivering to Nestle Tagum was hurdled. ​“No man is an island’’, the quote says. A lot of people learn better together than alone. We relate with the mistakes of others when we have been through the same situation. As such, relationships must be positively fostered. An activity like a forum is just one way to do so. 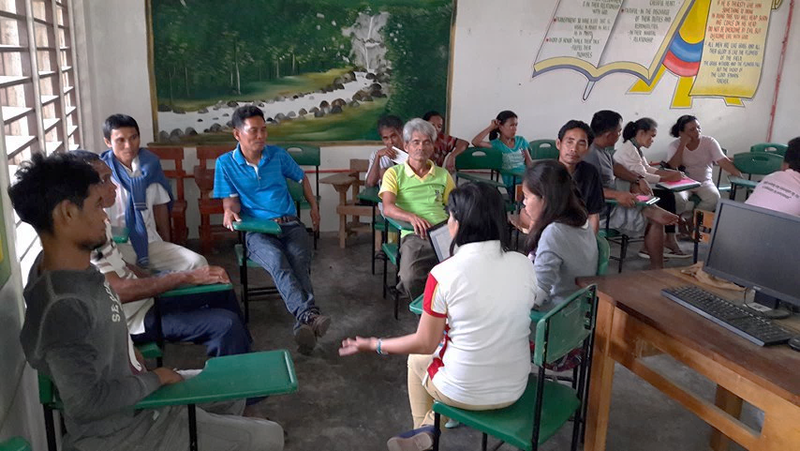 In this case a Farmers Forum which included farmer participants from all people organizations served by the partner NGOs of PinoyMe Foundation that happened on the 5th and 6th day of December 2016. ​Nine of these farmers came from four people organizations covered by Pasali Philippines Foundation. Notable of which are 6 T’boli farmers coming from the Municipality of Maasim from Sarangani province. These fellows belong to two separate organizations, but what connects them is their status as fledgling coffee farmer associations. Most of them are only fluent in bisaya and t’boli with a spattering of common tagalog words. On the way to the forum some even voice out that they are afraid that they would need to stand up and explain. Living in the remote highlands they were curious and daunted of striking out in an unfamiliar city territory and meeting new people. Especially since they are so new to the people organization’s world. Fast forward on the second day of the forum where participants where sharing the different challenges they have and are still facing, and what solutions they think would resolve them. These six T’boli participants were amazed that organizations older and more sophisticated than they are, are facing the same problems they themselves are struggling with. They were even astounded that they have resolved on their own a few of the challenges discussed. ​Over planning and discussion on specific activities to resolve the problems still in existence, it was nice that finally they were slowly stepping up, suggesting resolutions and realizing that they too can one day improve and become like the other farmer associations present during the forum. They were still shy and slow to speak but the eagerness has been observably sparked. More so, they are with the knowledge that they are not alone in the endeavor they are in pursuit. ​November marks the start of the coffee season, flowers bloom and the process of ripening into fruits begin. These fruits shall yield the beans that are essential to a coffee farmer and his family’s livelihood. Coffee season lasts only four months normally, and in the case of farming families’ dependent only on it, nothing must compromise this. But on the eve of November 5, 2016 flashfloods and landslides, brought on by a three day continuous rain, strike the coffee farming barangays of Limulan and Hinalaan on the Municipality of Kalamansig. 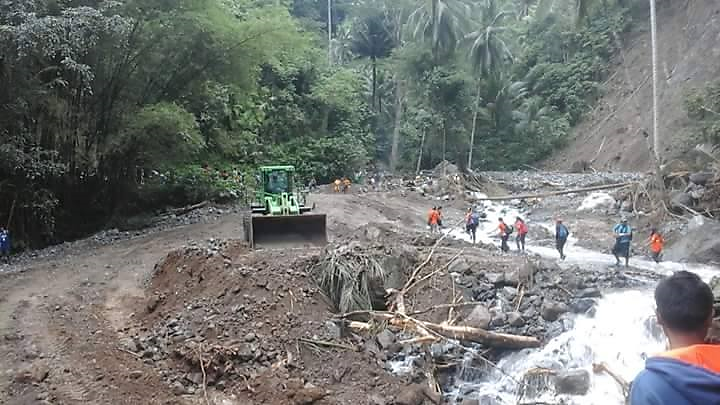 The latter becoming disconnected when a portion of its farm to market road was damaged by the incident. 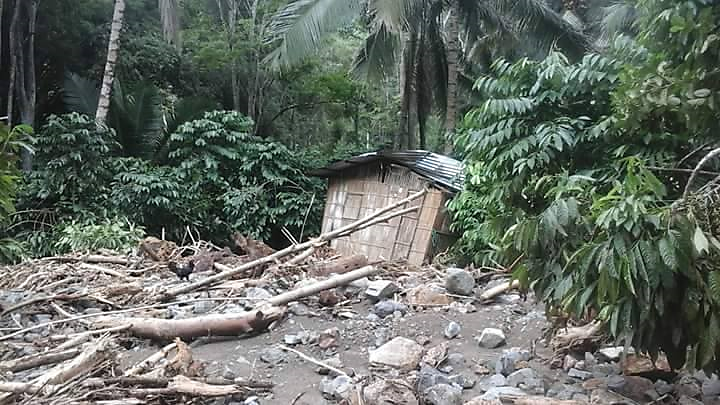 Families were displaced and had to be evacuated to the barangay hall. Even the distribution of relief goods had been painstaking due to the knee deep mud left by the downpour. Properties were severely damaged but the effects on agriculture were evident. Not only did the flood carry off the standing crops like corn, rice and vegetables, it also broke havoc to the flowering coffee trees in the area. Families lost both houses and source of income in one swoop of nature. “We were able to learn new things that we would usually not encounter here in the community, things only commerce graduates know. 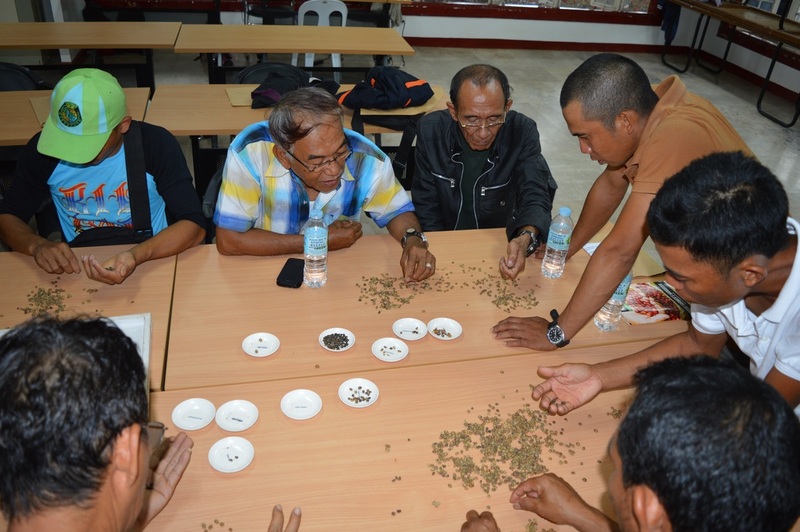 As Indigenous People we appreciate the education of learning how to operate our own business.”, says Jose Cambel Secretay of Maasim Coffee Growers Association one of the two participating associations in an Operational planning activity held last August 4 to 5, 2016 at Nomoh Integrated School, Maasim, Sarangani Province. The activity was also attended by the Maasim Holik Farmers Association. The activity aims to produce an operation plan that shall provide the association personnel with a clear picture of their tasks and responsibilities. This is in line with the goals and objectives contained within their strategic plan. It was a crash course designed to make an operational plan which is understandable in layman. ​For years coffee farmers has been content to produce and sell green coffee beans – these are the dried, hulled and sorted coffee seeds. This may be due to lack of knowledge, post-harvest facilities and interest. 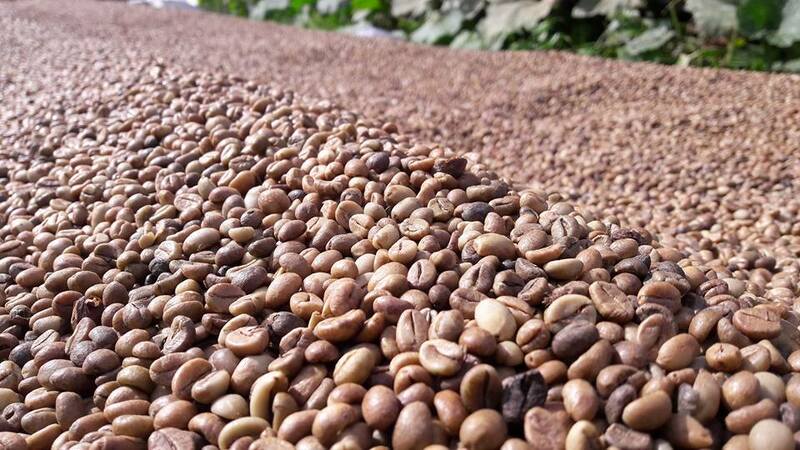 But green coffee beans fetch a smaller value on the market compared to its roasted and grounded form. 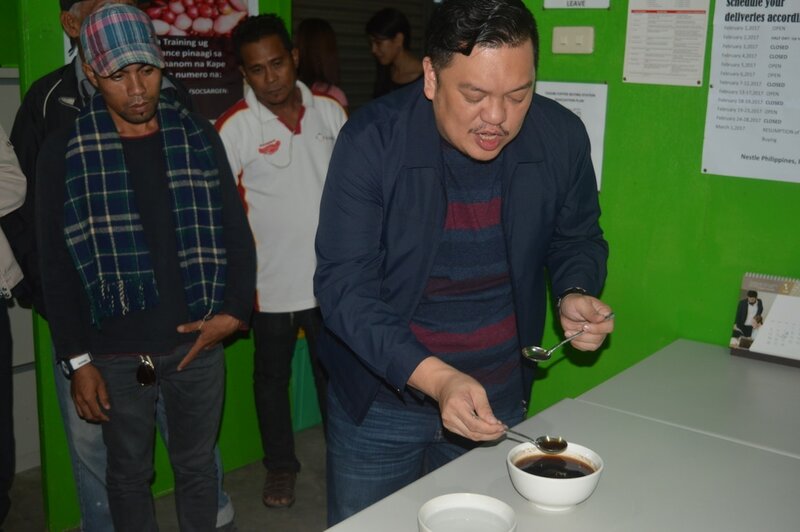 Coffee farmers from three farmer associations coming from the municipalities of Maasim, Kalamansig and Lebak were given a firsthand view that roasting and grinding coffee is a lucrative value addition to coffee farming. This happened last June 24, 2016 at the KERA Coffee Roasting and Coffee Shop at Kidapawan City, North Cotabato. Miss Shiela Liung, Manager, explained how the business started and its many challenges, especially in marketing, before being able to sell its own brand of roasted and grounded coffee. ​Kalamansig’s COINDECO, an association of Coffee Farmers, had for the past years received different coffee post harvest facilities through non profit organizations and government agencies, that aims to increase their income through increasing the quality of their harvested coffee beans. But most farmer members treat coffee production as any normal farming process without much interest in the cycle of coffee tree maintenace. As long as the tree produces fruits then it is good to go. 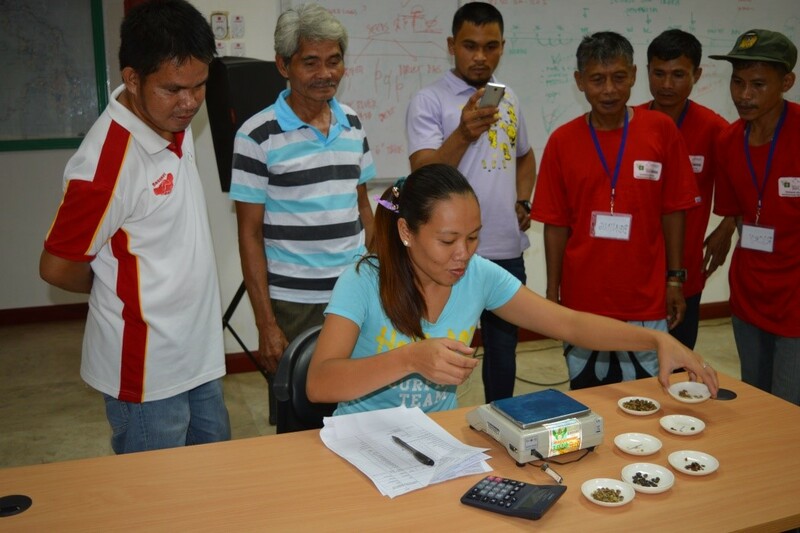 Through an exposure training at Nestle’s Coffee Plantlet Production and Training Center at Tagum City last June 21 to 23, 2016, members from COINDECO together with three other coffee farmer associations were introduced to proper coffee tree propagation, management and its impact on harvested coffee quality. 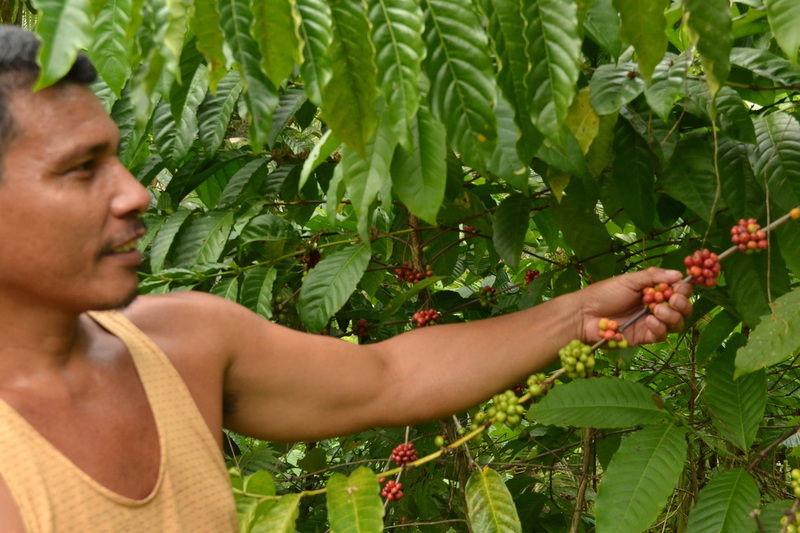 ​In order to achieve greater yields with the best quality green coffee beans the farmer participants realized that a coffee tree must follow a rigorous and maintained process. 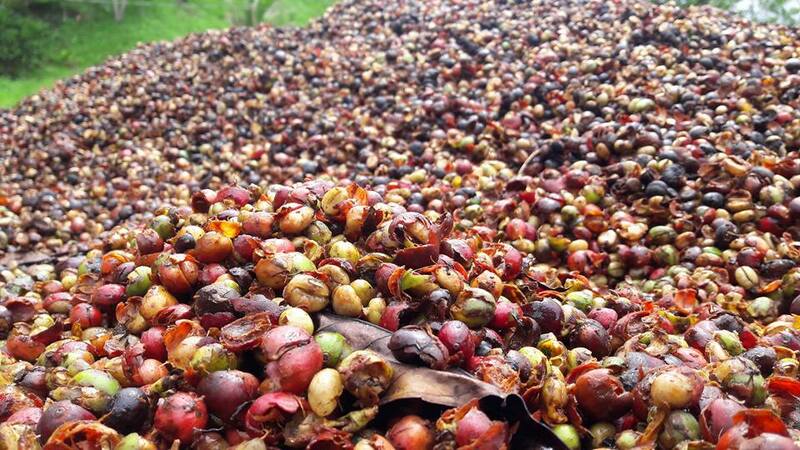 Post-harvest is not the only critical point in coffee production but all of the stages in the tree’s life cycle. Better outputs result from better inputs. This discipline can only be achieved if the farmer puts in mind that coffee farming is a business. And just like any business enterprise, profit (its main goal), is dependent on how the business is managed. “Very Relevant, haum sa among needs” (fits our needs), comments one of the coffee farmers in Kalamansig who participated in the Strategic planning & Policy, System and Procedure making last month. 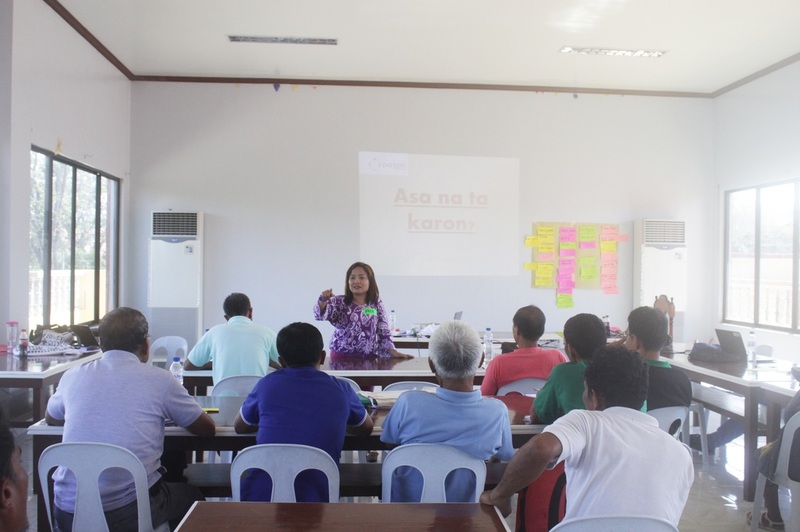 Since last year, the Pasali Agriculture team has been conducting institution building trainings to coffee farmer groups of Maasim, Kalamansig and Lebak Municipalities. From production & marketing trainings, Pasali shifts its thrust to Organizational Development Approach in its continuous intervention among organized coffee farmers. 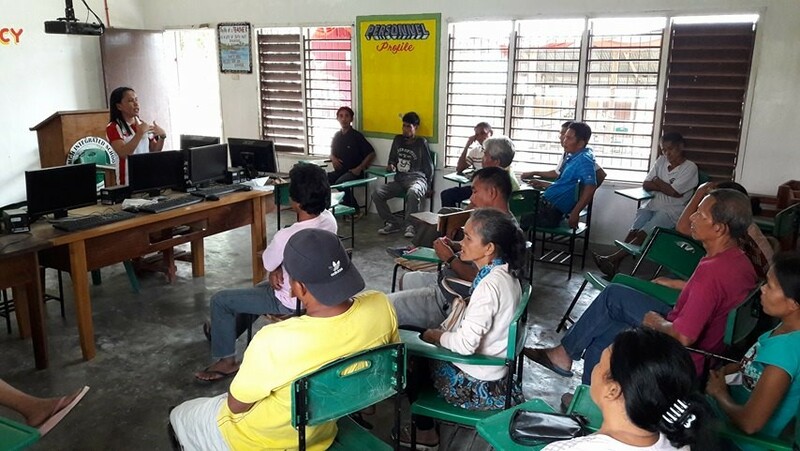 With the goal of increasing farmer’s income, Pasali trained these groups to increase their organizational capacity, making them ready and eligible to avail grants from the government and private sectors. The Provincial Rural Development Program (PRDP),is giving FARM to MARKET road, roasting, drying facilities, seedlings and other needed equipment for value-chain development but farmer groups must pass the following eligibility requirements, such as; legal permits, financial stability, organizational capacity, equity requirement of 20% ( cash or in kind), willing to shoulder the cost of DED ( Detailed Engineering Design), and certification from the Provincial Accountant. All of these requirements presuppose that farmers are already capable of running an operational business entity whether a cooperative or corporation. For this reason, the Sustainable Agriculture Program of Pasali Philippines under its project Agri-Entrepreneurship have shifted to organizational development approach.